OPS Courier for the University of Florida, Office of Research. This position is one of the professional employees in the Office of Research’s Division of Research Program Development. 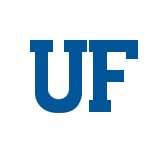 The division publishes the biweekly online FYI Newsletter, a resource for faculty seeking funding, coordinates the annual Research Opportunity Seed Fund program, coordinates the selection of UF’s nominees to limited application programs, assists in planning and coordinating large interdisciplinary research initiatives, and assists in preparing grants involving multiple schools, colleges, divisions, or institutions to support new research programs. The Rodent Models Breeding Core Technician 1 (RMBCT1) is an integral team member of the Rodent Models Breeding Core (RMBC). The RMBCT1 will assist in safely carrying out daily responsibilities assigned by the area Operations Manager or senior team members. Will be responsible for routine and non-routine procedures as requested by our various stakeholders including the immediate supervisor/manager, veterinarians, research investigators or experimental protocols. The work is performed under direct supervision. This position is responsible for carrying out the Animal Care Services' (ACS) directives and SOPs as governed by the Animal Welfare Act and all applicable rules and regulations. Will report any suspected or actual deviations to SOPs or non-routine situations immediately to their supervisor, manager, or their designee. The RMBC is a full service 8000 cage breeding facility for the University of Florida faculty offering management of their experimental rodent colonies to effectively and efficiently handle all of their colonies experimental needs and timelines. The RMBCT1 will update and maintain the Rodent Breeding Database, house incoming animals, pack outgoing animals, wean litters and create and maintain needed sterile surgical and technical equipment packs among other tasks. Uses aseptic procedures to minimize contamination as required. Ensures housing and environmental compliance with the "NIH Guide for the Care and Use of Laboratory Animals". Arrives, leaves, and takes breaks at work as scheduled and strictly adheres to ACS attendance policy. All actions are completed by strictly and consistently following applicable ACS SOPs, IACUC and UF EH&S including safety procedures, guidelines and policies. This position reports to the Assistant Director, Human Resources for Administrative Services in the Office of the Vice President for Research’s Office of Personnel and Administrative Services. The Assistant Director is responsible for overseeing the HR activities of all units that report to the Vice President for Research. This position requires daily contact with the university community and the public. The position performs a broad range of clerical duties in support of the Assistant Director and must maintain a high level of confidentiality related to sensitive issues, and exercise independent and prudent judgment when completing the tasks and responsibilities associated with the job duties. The Animal Care Technician 1 (ACT1) provides basic care of animals and animal facilities by completing primarily simple and routine animal caretaking and cage wash duties as directed by Operations Manager or their designee, which may occur up to 50% of the time of overall job duties and responsibilities. All actions are completed by strictly and consistently following applicable ACS SOPs including safety procedures and policies. Reports any suspected or actual deviations to SOP’s or non-routine situations immediately to Operations Manager or their designee. The Rodent Models Breeding Core Technician 2 (RMBCT2) is an integral team member of the Rodent Models Breeding Core (RMBC). The RMBCT2 will assist in safely carrying out daily responsibilities assigned by the area Operations Manager or senior team members. Will be responsible for routine and non-routine procedures as requested by our various stakeholders including the immediate supervisor/manager, veterinarians, research investigators or experimental protocols. Work performed under direct supervision. This position is responsible for carrying out the Animal Care Services' (ACS) directives and SOPs as governed by the Animal Welfare Act and all applicable rules and regulations. Will report any suspected or actual deviations to SOPs or non-routine situations immediately to their supervisor, manager, or their designee. The RMBC is a full service 8000 cage breeding facility for the University of Florida faculty offering management of their experimental rodent colonies too efficiently handle all of their colonies experimental needs and timelines. The RMBCT2 will perform duties assigned from a weekly technical work list prepared by RMBC colony managers. The Assistant Director provides leadership and oversight for the management of all sponsored programs at the University of Florida. With latitude for independent judgment and action, the Assistant Director will work with the Assistant Vice President to carry out the functions of the Division of Sponsored Programs (DSP). In addition to providing oversight and direction to the Sponsored Programs Administrators and campus research administrators, the Assistant Director will be responsible for oversight of the non-financial sponsored programs administration teams within the central pre-award office at a comprehensive land grant research University receiving over $800M in sponsored programs annually. Further, the position will have a key role in the evaluation of federal, state, and Sponsor regulation and policy changes as they impact sponsored programs, for development of policies, process documentation, and training materials, for identifying business process improvements, and for outreach to the sponsored programs community at the University of Florida.